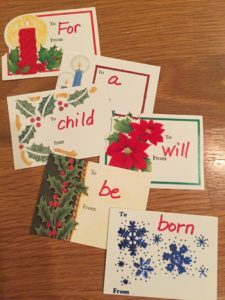 Here are three easy-to-create and fun-to-play Bible skill games to use this Christmas season. 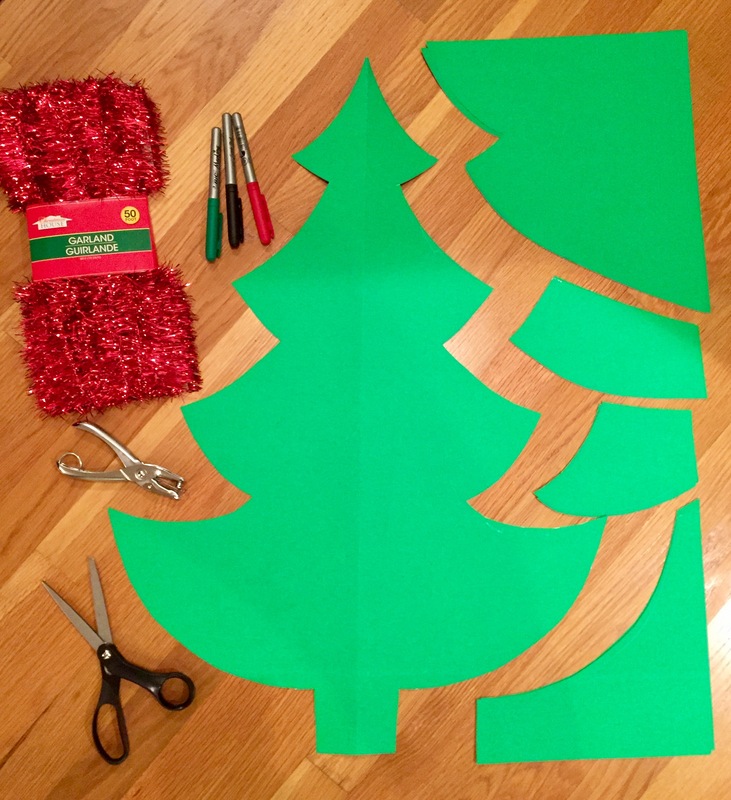 All items were purchased at Dollar Tree so they are very inexpensive. Punch holes at the tips of each “branch” on the Christmas tree. Secure one end of the tinsel garland to the determined starting point. 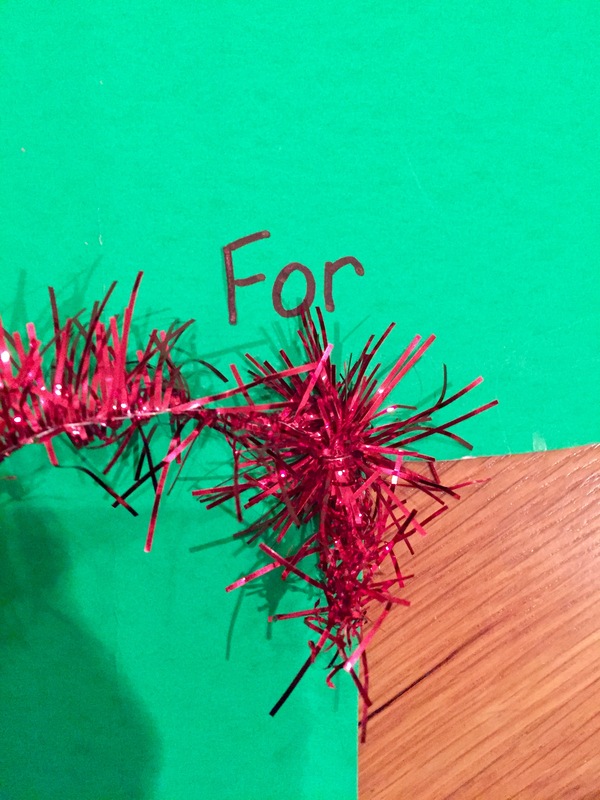 (Make sure the garland is long enough to crisscross the tree at each word or phrase of the verse). 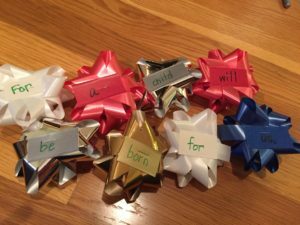 Lead young children to thread the garland from word (or phrase) to word (or phrase) to complete the verse. Option: For older kids, create two trees and allow kids to race to see who finishes first. On the bottom of gathered bows print the words to a chosen Bible verse (one word per bow). 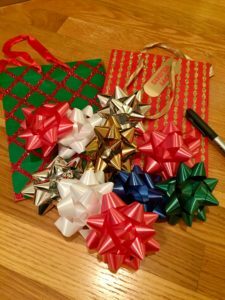 Place one set of prepared bows in a medium-sized Christmas bag. Create two sets. Determine a starting point and place the prepared bags on the opposite side of the room. Create two teams. 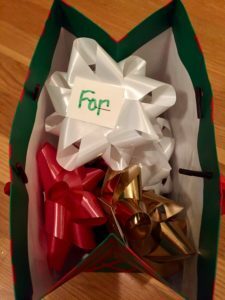 Designate a prepared gift bag to each team. 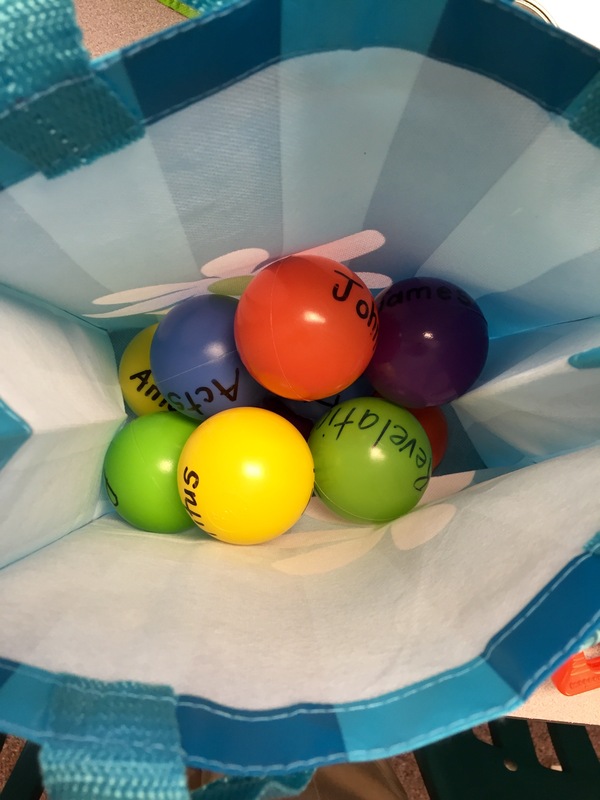 On start, player one from each team will race to his team’s gift bag, retrieve a bow, and return to his team to tag player two who will do the same. Continue until all bows have been retrieved. 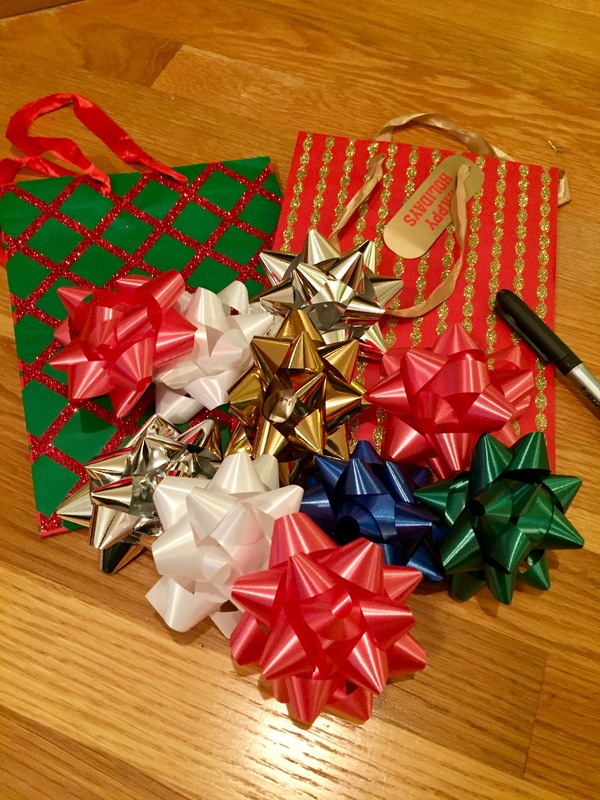 Teams are to gather the bows, turn them over to identify the verse words, and quickly place the verse in order. The first team to get the verse correctly in order wins! 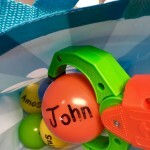 Using a permanent marker, print the words to a chosen Bible verse on individual gift tags (one word per tag). Toward the top of each prepared tag, punch a hole. 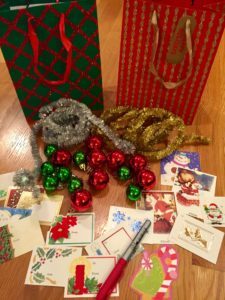 On a flat surface, place both sets of prepared tags, face up and in random order (include small plastic ornaments as a fun option). 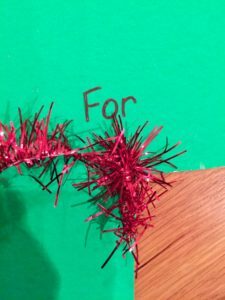 On “Start” teams should find the words to the chosen verse (one word at a time) and take turns “stringing” the Bible verse in order on the wired tinsel. 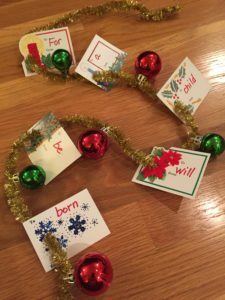 Option: Add small plastic ornaments between each word of the chosen verse. 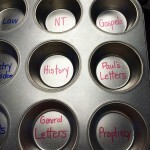 Here are other Christmas Bible skill games previously posted on Kids Ministry 101. God wants to teach the boys and girls in your ministry from the overflow of what He’s already taught you in your heart. Here’s the problem, many of us find ourselves too busy to seek the flow from God’s Word and end up with a “trickle” (at best) instead of the fresh flow that comes from regular personal Bible study. So, how do you find time in your very busy schedule for this important discipline? I love teaching Sunday School and I want to be a good teacher to the kids I’m blessed to teach so I’ve decided to make this a priority. Each week I use the Bible content that I’ll be teaching that next Sunday as a guide for my personal Bible study. Each week (when I’m being a really good Bible study teacher) I start early in the week and spend 5-10 minutes a day reading, studying, and considering what God is wanting to teach me through the Bible content I’ll be teaching the kids. Day 1: Read the text from your Bible. Take out your favorite Bible and read the text … even if you know the account, read it again. God wants to speak to you fresh and new every time you read His Word. Day 2: Read the “Leader Bible Study” in the leader guide. Take a few minutes on Day 2 to consider what the curriculum provider thinks about the text. In LifeWay’s on-going resources we provide a one-page deeper dive for leaders for each of our sessions. Day 3: Re-read the text in a different translation. If you always read from the KJV then consider on Day 3 reading from the HCSB (or the other way around). For me, this is where I get out my paraphrased version of the Bible. A paraphrase helps me to hear the text differently and react to the translator’s interpretation. Day 4: Choose a favorite commentary to read and consider. God has gifted many men and women with a deep understanding of Scripture and many have pinned their thoughts into commentaries. I’m simple, so I like a simple commentary, J Vernon McGee’s “Thru the Bible.” Find one you like (and understand) and enjoy the deeper dive of their thoughts. Teach kids from the overflow. You’ll enjoy it so much more! 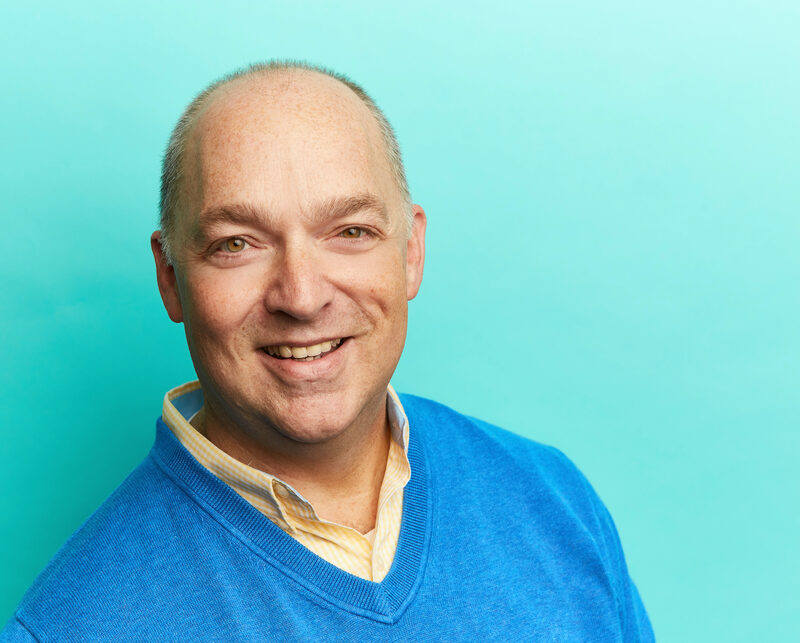 Bill Emeott serves as Lead Ministry Specialist for LifeWay Kids. A graduate of Mercer University and New Orleans Baptist Theological Seminary, Bill has served as a Kid’s Minister and currently teaches 2nd Grade Bible study and Kindergarten Choir. 1 Corinthians 3:10 talks about building a foundation (a great passage for those of us who lead kids ministries). I’ve often thought of myself as a brick mason, laying foundations: brick by brick, one on top of the other. This foundation will be built upon by another “brick layer” and then another, until together we’ve built a spiritual foundation with which a child can grow his life. I think that’s a good analogy for our job of teaching kids the truths of God’s word: truth on truth, precept upon precept, one level at a time. 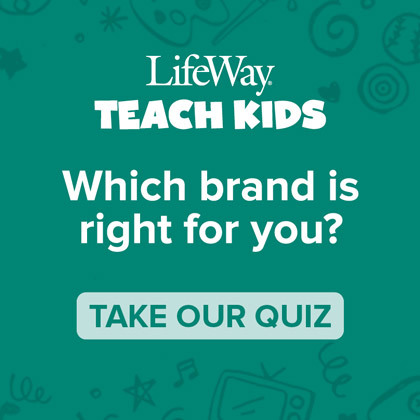 In the Levels of Biblical Learning®, LifeWay Kids has identified six age levels of understanding that follow how God designed children to learn. Younger Preschoolers are developing a sense of trust as needs are met consistently. They are sensing attitudes and expressions of love. As they grow they are can begin to recognize simple pictures of Jesus and sing simple songs about God. 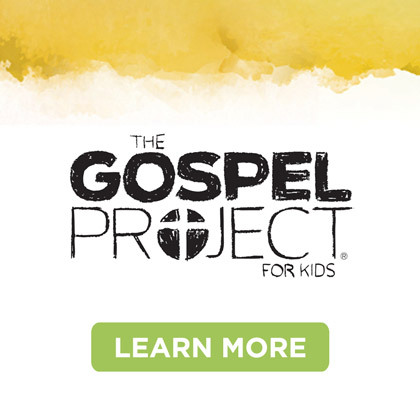 Younger preschoolers can listen to Bible stories and will start saying, “Thank You” to God. 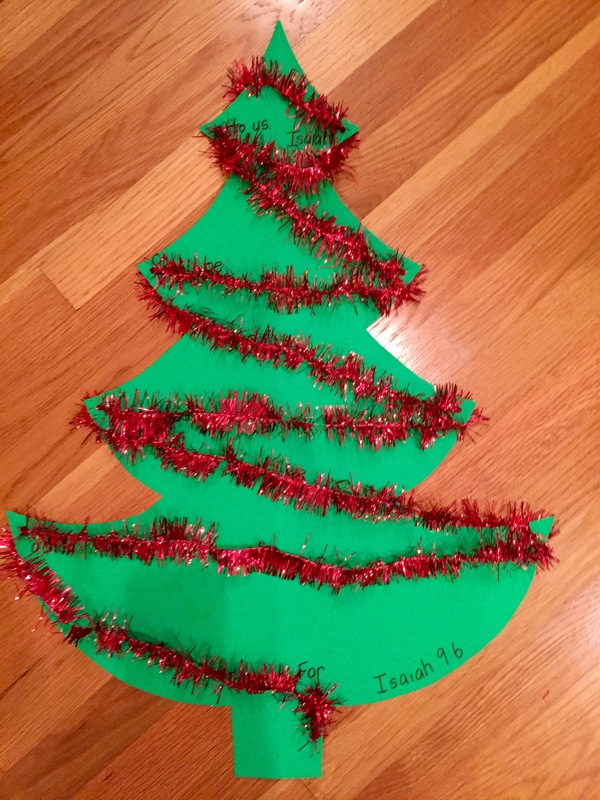 Middle Preschoolers are beginning to understand that God, Jesus, and the church are special. They can identify some Bible people and retell Bible stories. 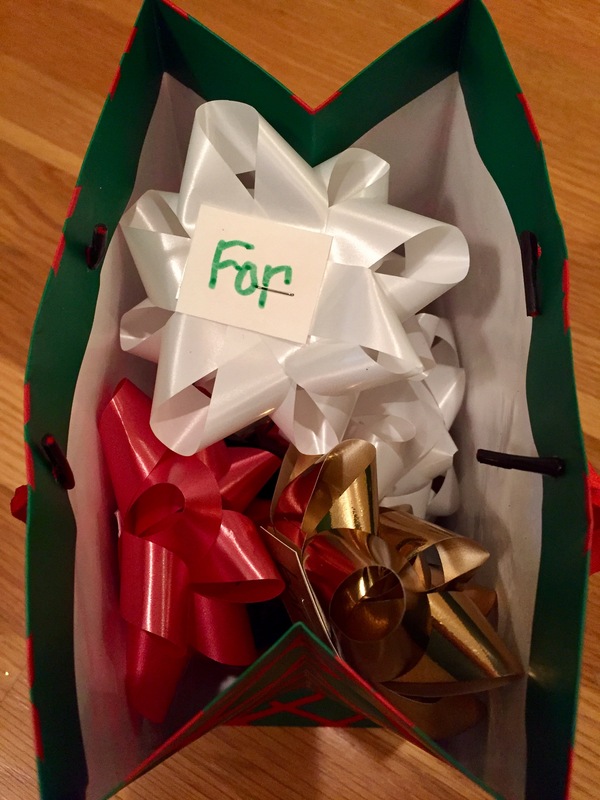 Middle preschoolers recognize that God and Jesus love people and help people in special ways. Older Preschoolers are starting to make conclusions about God and see Jesus as a friend and helper. 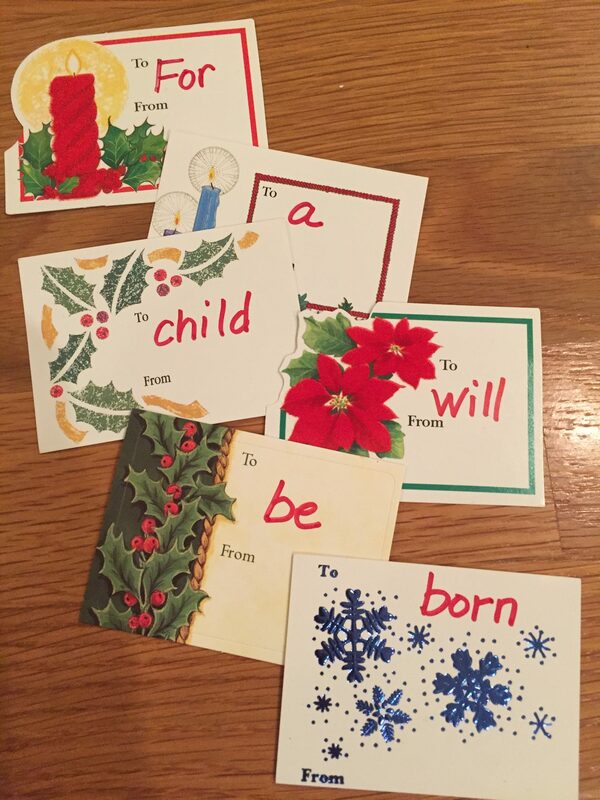 They can use the Bible to find Bible phrases and verses and are beginning to make application to Bible verses. Older preschoolers have developed a conscience and are sensitive to feeling of shame and guilt. Younger Kids enjoy learning from their Bibles and are interested in finding out more about God and Jesus and His plan of salvation. They are beginning to have a simple understanding of sin and the gospel. Middle Kids are asking serious questions about religion. They are developing values and learning about being truthful and honest. Middle kids have a growing knowledge of sin and sense the need for a Savior. Preteens are seeking spiritual answers and beginning to adopt a religious belief system of their own. While forming concepts of personal worth they are developing a value system and can feel very deeply about their own experiences. God’s plan is for children to grow mentally, physically, socially, emotionally, and spiritually. As Bible study teachers we will find success when we join God in the way He created kids to learn and teach them at appropriate levels of understanding. 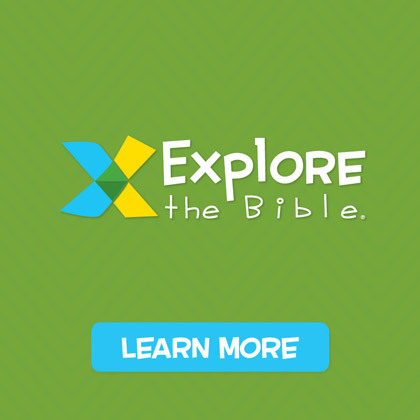 Sixty-six books, categorized in ten divisions and placed in two testaments all brought together to make the greatest story ever told, the Bible. What an awesome privilege to share God’s story with His kids. How do you do it? One foundational level at a time! 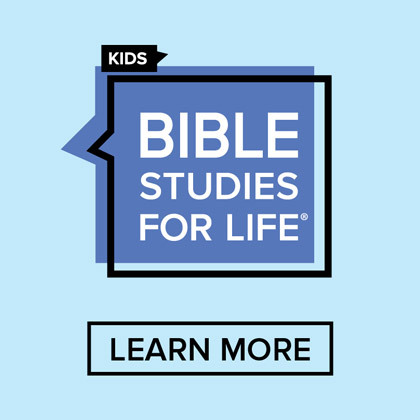 On May 9 at 11:30 AM (CST), LifeWay Kids will host a free webinar that will dive deeper into the Levels of Biblical Learning. This webinar, “Growing in God’s Word” will discuss the six age levels, the ten biblical concepts, and the importance of teaching those concepts in age appropriate ways. Plan to join us by registering here! 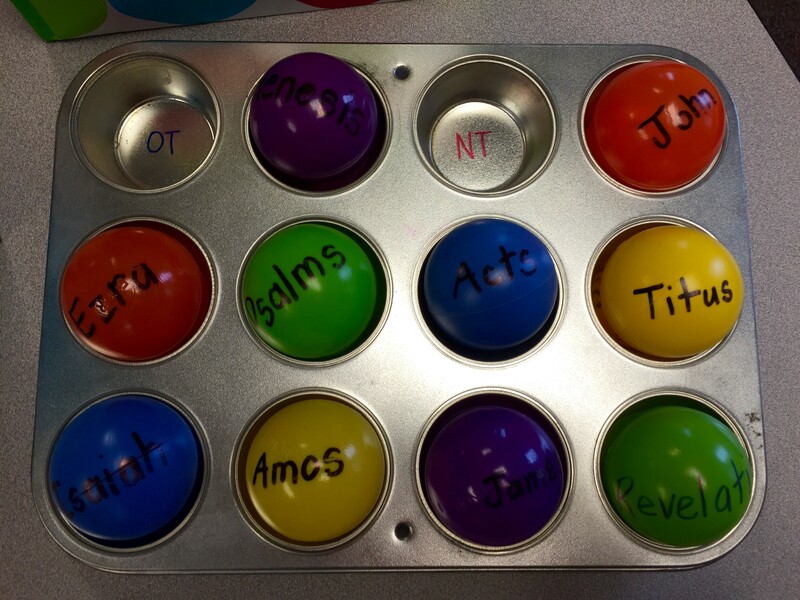 Here’s another fun Bible skills game I’ve used recently in my 2nd grade Bible study group. The kids loved it. I hope your kids will, too. 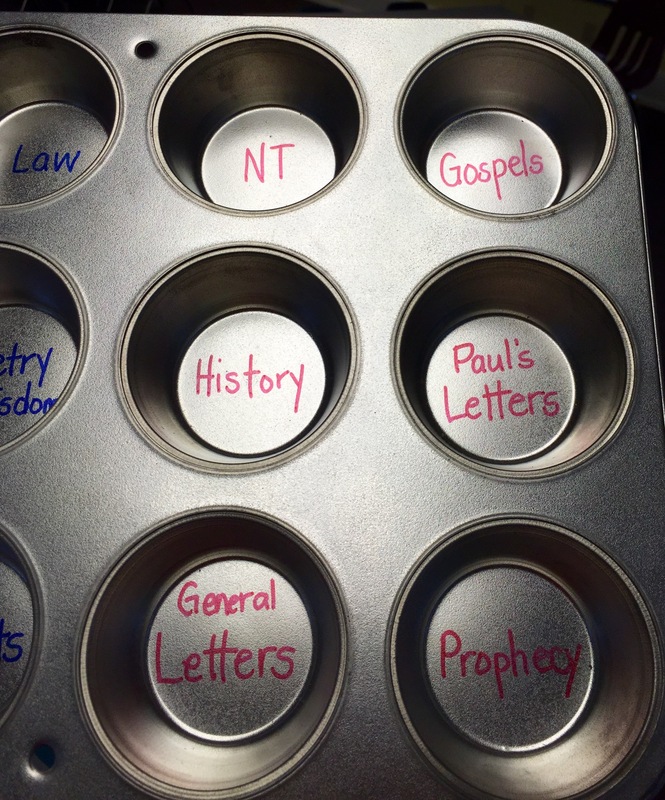 On the bottom of two 12-count muffin tins, print the titles of the 10 divisions of the Bible. Include “OT” and “NT” for 12 separate titles. Print one division title per cup. 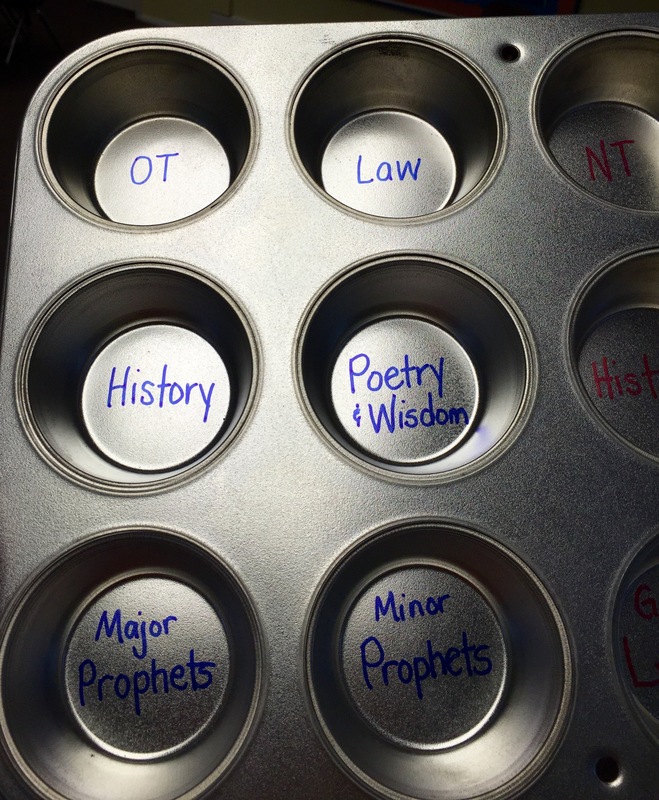 (Option: Use muffin tin liners to print division titles instead of permanently printing on a muffin tin. Place the prepared liners into the tins). 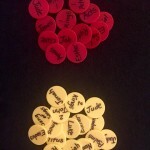 On separate pit balls print a book from each of the 10 divisions (make 2 sets). Place each set of prepared pit balls into separate gifts bags. Place prepared muffin tins and the extender arm grabbers on one end of the room and the prepared bag-o-books on the other. 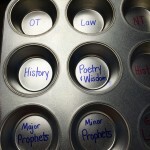 Assign each team to a muffin tin and line teams, single file, behind their team’s muffin tin. 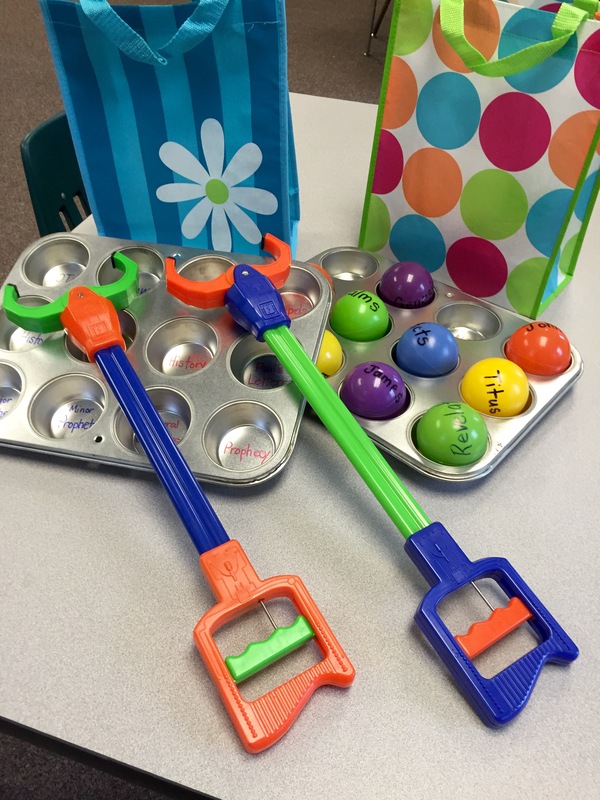 On “Go” player one will pick up the extender arm grabber, race to the bag-o-books, using the grabber retrieve a book, and race back to the team’s muffin tin. Once the book has been correctly placed, player two will receive the extender arm grabber and race to retrieve the next book. Continue play until all books have been retrieved and correctly placed. 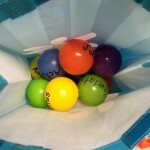 The team who retrieves and correctly places all 10 book balls first, wins! I’m often asked, “How can we connect with the families in our ministry?” I wish I had a new formula or a “5-Step” process that works miraculously, but I don’t. What I do have is three areas for you to consider when connecting your ministry to the families inside and outside your church. TRADITIONAL CONNECTIONS: Ask yourself this question, “What did someone do for me and/or my family that really stands out in my memory as a positive connection?” Did someone reach out to you and your family when there was a death or a hospitalization? Did someone connect with you and invest their time and love to support and encourage you? Was there a special friend or teacher who showed up at your piano recital, baseball game, soccer tournament, or school play to support your giftedness? Those same acts of love, kindness, support, and encouragement WORK TODAY! It’s not rocket science. Consider what worked with you YESTERDAY and give it a try TODAY! INTENTIONAL CONNECTIONS: One of the biggest problems for folks today is finding time to do one more thing. We’re all over-committed and over-scheduled … right? 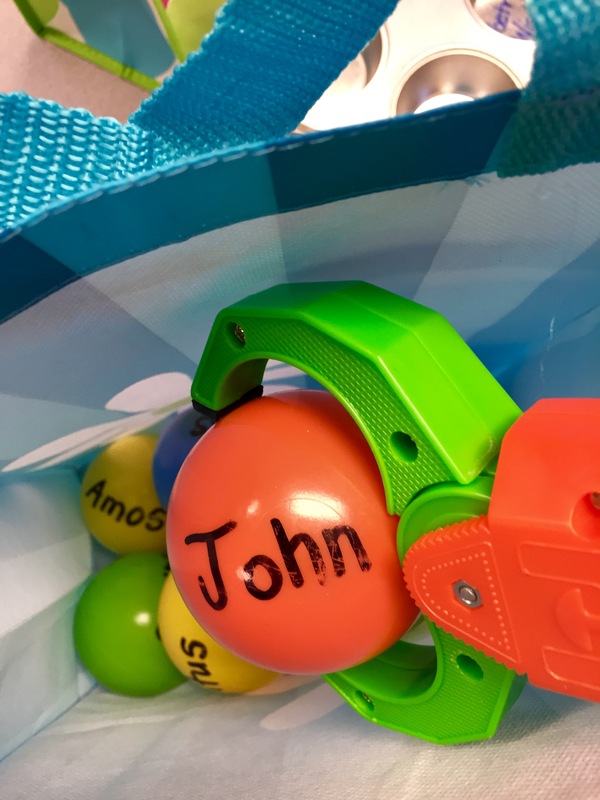 How can we use the things that are already in our schedule, already on our calendar and turn them into opportunities to connect with families? One example might be simple but effective: sitting with families in worship. You’re already there—it’s part of your weekly routine—why not take advantage of the opportunity to intentionally seek out families in your ministry and worship together? Kids love it and parents appreciate it. It’s the “two birds, one stone” theory of connecting. Figure out the things you’re already doing and then be intentional to use them to connect. 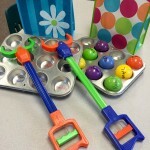 TECHNOLOGICAL CONNECTIONS: Let’s just say it—technology is here and it’s not going anywhere—and we better figure out how to use it in our Kids Ministries! I recognize that many of you are already very proficient here, but there are many of us who need to “get with the times” and come to the realization that today’s parents are social media savvy. They not only use today’s technologies but actually prefer them to land-lines, paper flyers, newsletters, and pulpit announcements. I’m sure that we’re still in a “both/and” environment (using all forms of connecting) but know that with every year (almost every day) that passes, we are becoming more and more reliant on our technologies and we had better stay current and fully embrace appropriate technologies for connecting. What a great privilege to be a part of the lives of kids and their families. It’s worth the effort and the rewards (personal, ministerial, and eternal) are huge. 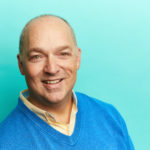 Bill Emeott serves as Lead Ministry Specialist for LifeWay Kids. A graduate of Mercer University and New Orleans Baptist Theological Seminary Bill has served as a Kids Minister and currently teaches 2nd Grade Bible study. Safety and Security: A MUST! I’ve posted on this topic before but recent news stories have prompted me to “reiterate” the importance of keeping your ministry safe (the Kids, the Leaders, the Church, and you. 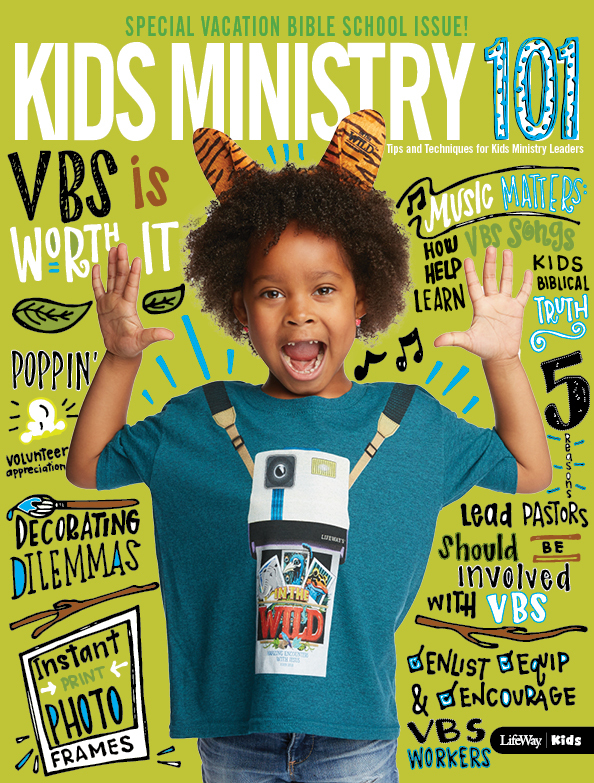 There are multiple articles within this blog (Kids Ministry 101) on this topic, but today I’m just going to highlight the basics. Use this list as a reminder, a refresher, or a motivator to get this issue settled! Start with the Staff: Whatever that means for you, start there. Talk with your pastor, talk with your executive pastor, or talk with your education minister. Talk and agree that this is a priority. Share statistics, findings, concerns, and risks and get them on board. Allow your supervisor to help guide the next steps but make sure everyone is on the same page. Include Lay and Influential Leaders: Once the staff is on board and in agreement, begin to include church members in the conversation. Key lay leadership are important to the success of policies and procedures. Consider deacons, elders, influential parents, a law enforcement officer, an insurance representative, and even you church attorney. These folks can help with direction, decision, and implementation. This doesn’t need to be something you decided to do or the staff is pushing down people’s throats. It will play out better if recommendations come from a united effort of staff and church members. Implement any Emergency Policies needed: If you find yourself at ground zero and have no policies in place consider implementing the quick “6/2” policy. Every person who works with minors in your church must have been active in the church for at least six months and there is NEVER less than two adults in the room with minor children. This IS NOT the only thing you need to do (lots more to do), but it’s a quick bandage that will help protect while working toward a better end. Don’t try to reinvent the wheel: There are tons of churches who have already gone down this road. Most are eager to share their policy manual when it comes to Safety and Security. While one should never simply “copy and paste” another church’s policies, it’s a great place to start. Adopt and Implement! As a congregation, officially adopt policies and procedures and then intentionally (with your lay team) implement them. Don’t be caught adopting without implementation. That shows disregard for policies thought valuable/important and doesn’t play well for the church if an issue should ever arise. Additionally, don’t “half-comply” by allowing some to not comply while others are required. I’d rather prevent an issue, a tragedy, a heartbreak, or a ministry destroyer, than deal with one! Please take this seriously. Please do your “due diligence” and by all means (literally) protect the kids and leadership with whom God has entrusted you. Help safeguard your ministry with background checks. LifeWay customers can receive discounts of up to 58% on background screenings. Click here for details or call 800.464.2799. Since 2003 Bill Emeott has served as a Kids Ministry Specialist for LifeWay Kids. His passions include childhood ministry leadership training and development, leading children’s Bible Study, and being an uncle! Bill has been teaching children for 26 years. 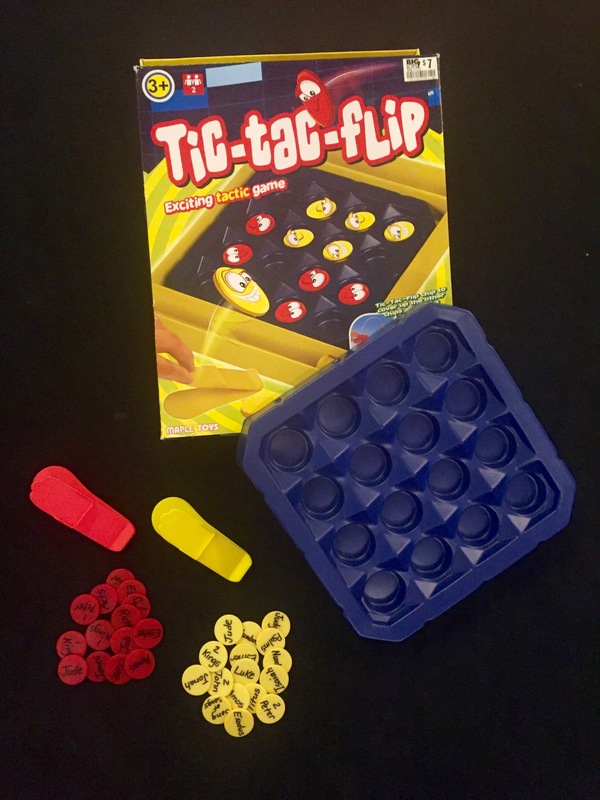 Occasionally I find myself searching for a new Bible skill game to use with my kids at church. I have around 25 games at varying skill levels but it’s fun to create something new. So, off I go in search of the perfect game. 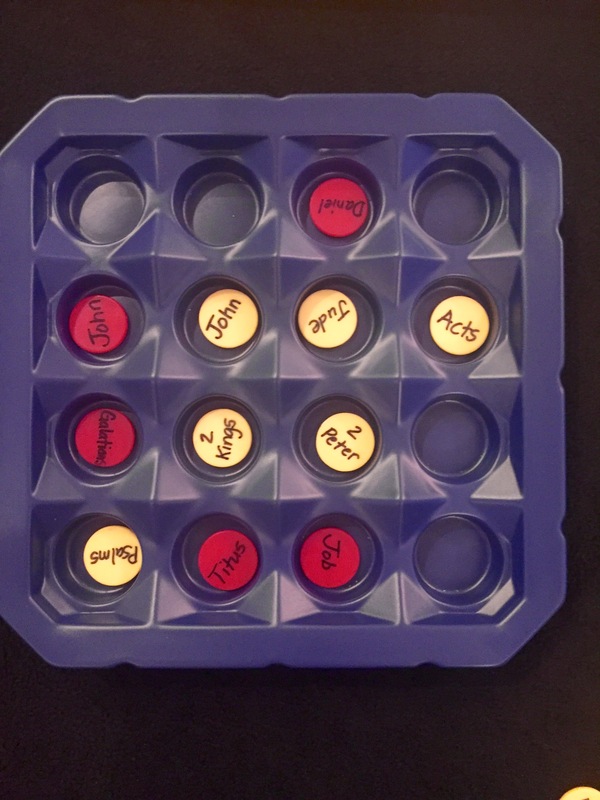 Recently I landed at our local thrift store and found a game, pretty much all there, that turned out to be a great Bible skill game to add to my collection and the kids loved it. 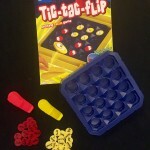 Tic-Tac-Flip is a simple game of tic-tac-toe but with a bit of a “flip.” Players use the “launcher” to flip chips on to the game board with hopes that three chips will land “three in a row.” There’s a little skill required (so that you don’t send your chips sailing across the room) but it’s pretty simple and a lot of fun. Simply print on both sides of the chips various books of the Bible and start flipping. 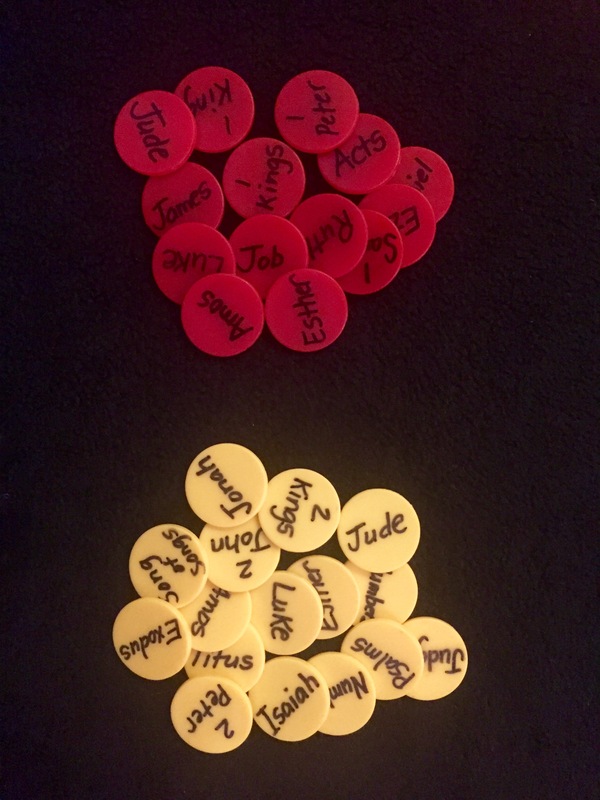 Determine who will go first and take turns “flipping” a Bible book chip. When a chip lands in the board the player is to name the book of the Bible before the book printed on the chip, the book printed on the chip, and the book after the flipped chip. 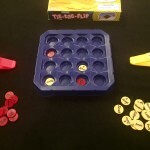 If the player chip can successfully state the sequence, the chip remains on the board. 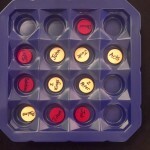 If the player is not able to name the sequence, the chip must be removed from play. 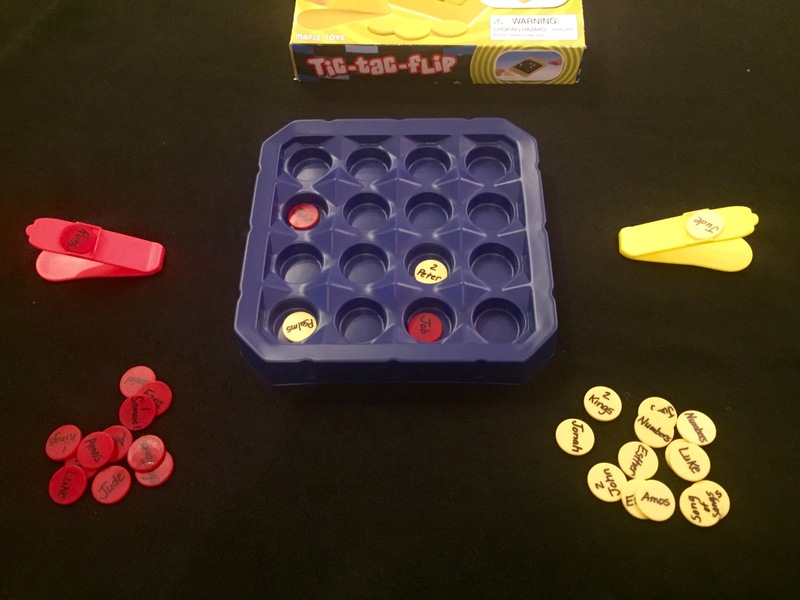 The first player to get three chips to land in a row (and is able to say the book sequences) wins! I’ve played with one child (playing against me), two kids playing against each other, or teams of kids taking turns for their team. It’s fun either way. 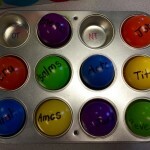 Teaching Bible skills should be fun and using familiar games helps and creates a lot of excitement. Head out to your local thrift store and go wild thinking about Bible skills! Since 2003 Bill Emeott has served as a Kids Ministry Specialist for LifeWay. His passions include childhood ministry leadership training and development, leading children’s Bible Study, and being an uncle! Bill has been teaching children at First Baptist Nashville for thirteen years.